I have been teaching since 1993. I started as a middle school substitute teacher for Spanish, Literature and History in Trinidad and Tobago, my country of birth. 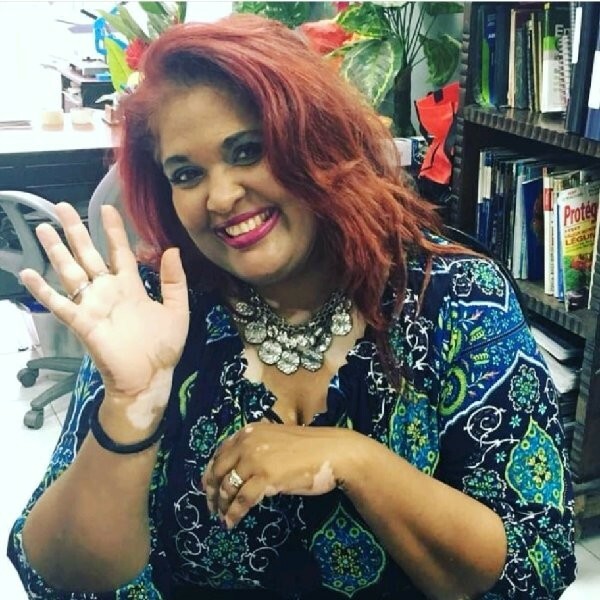 I taught in Trinidad at public high school and part-time at three adult ESL institutions - teaching French and also English to Venezuelans. Now, I am married and living in Honduras, Central America and I have been teaching here for the 18 years with a 14-hour work day for the last 12 years. In Honduras, I have accumulated more than 29,000 hours teaching adult ESL classes for business executives in my own company. Since I teach adults, my classes usually commence at the end of the day, this grants me the flexibility to be a full-time mom to my family of 6 kids (2 biological and 4 bonus kids from my husband´s previous marriage). My schedule starts with taking everyone to their respective classes be it university, high-school or pre-school. Then I run communications for our financial auditing firm, run errands for clients, pick-up kids, drop off kids and then head off to my classes from 4:30 pm to 7:30 or 8:00 pm. I make sure everyone has had dinner and then we hang out, review homework and relax. Around 10 pm, I relax, read, research or prep for classes but sometimes I'm interrupted by my 4 year old´s need for hot chocolate. I often doze off on the sofa with my arms wrapped around my laptop. 3. It doesn't seem like you have much downtime but when you do, how do you relax? Reading would be my number one answer if I were single but watching The Ellen Degeneres is a great pick-me-upper for a busy mom and teacherpreneur. I get to relax and chuckle along while my ever-ticking brain recharges. I love anything with James Corden, surfing Youtube and Netflix is like browsing a library of visual books, listening to music and playing with my kids helps me unwind. Whenever I can, a lovely drive through the mountains rejuvenates me always! 4. You took on the tremendous task of starting a company. Can you talk a bit about how this came about? I always wanted to have my own business and my first dream was to open a book club/café for people to read and meet up. Unfortunately, when we did the feasibility study, my dream tragically suffered a mortal blow! I got back into teaching adults and soon saw a niche for focusing on speaking and listening skills improvement and I went for it! My CBC- Corporate Bilingual Consultancy was born and it became a place to provide bilingual that clients may need. I spent my first year and a half giving classes at the home or office of my new clients, resting in my car parked under a shady tree on a street, hoping the cops would not see me as suspicious, making restroom stops at different restaurants with no budget to pay to use the place. It was very challenging in the beginning. After surviving the first 1 1/2 years, the demand for my services increased so I could afford to set up a small office for clients. My work days turned into 14-hour long days with me moving from company to company and meeting a very diverse group of individuals. 5. Your resource Codebreaker was a result of your students. Can you tell us what it is? I designed the game Codebreaker to help my students move beyond the verb “to be” in as little time as possible and ensure they were accurate when using the target language in order to help them overcome the impotence they felt when confronted with speaking in English before people they considered to be important. 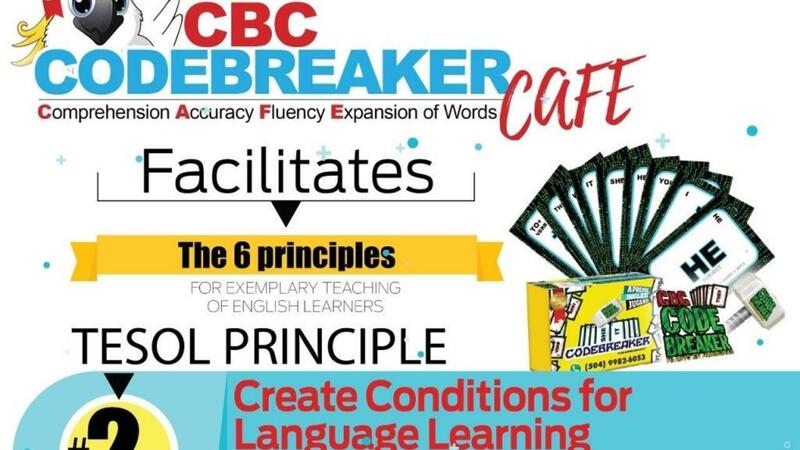 Codebreaker fires up the metalinguistic awareness in the brain, is student-centered and teaches several concepts simultaneously. 6. Where can teachers and students purchase your resource? Yes! I have other games I want to publish for different areas of study. I have a fun map game to help students learn about their country first, and to love and appreciate their environment while embracing the target culture. I have both teacher and student books, and workbooks. I am currently trying to get my game to students with low to no resources in an effort to help them accelerate their learning so they can advance faster to help their families. 8. How do you promote or market your resource? Through social media and word of mouth referrals mostly. I also volunteer with Honduras TESOL and share my knowledge and experience with teachers. I am currently exploring new marketing options. 9. Do you do everything yourself or do you hire people with specific skills to help you? In the beginning, with budget restrictions, I was chief cook and bottle washer! Now that we are in a better place, I draft out my concepts and then seek out collaborative and synergetic professional relationships where we can mutually benefit by working together. When the stakes are high I do go to professional designers to take my work to another level. I try to learn and do so that I can better hire in the future process. Learning also provides insight when negotiating prices. Primarily, speaking in public is one skill I cherish, being able to present my ideas creatively with confidence. I owe this to extensive hours in the classroom. As a “teacherpreneur”, I listened to my students and turned their needs into products to facilitate their learning styles. The constant search to ensure learning resulted in a “continuous improvement” mindset that allowed me to renew and reinvent myself as an entrepreneur. I turned my teaching into a business and became a teacherpreneur. I believe it is the future for our survival as teachers. Lastly, I would say that constant experimenting contributed to polishing my product. Networking! This has not been easy as sometimes teachers or teaching administrators are ironically not very good listeners and persuading them to try something new has been a daunting task. The Teacherpreneurial road is paved with many “Nos”. 13. I talk to many teachers about their fear or doubt in trying something new or "putting themselves out there". What advice would you give to these teachers? Put yourselves in your students’ shoes. BE BRAVE FOR THEM! It is what I did. I tried and tested the barriers. I was brave for my students. I went out on limb to show them it can be done. I shared my failings with them and they, in turn, encouraged me. I asked and talked and I prodded, etc. At every turn, whenever self-doubt tried to loom over me, I always put my students' needs first instead of my fear and that gave me the strength to push forward at each turn. I am also a person of faith and God has been my rock through it all! My Jesus Christ is the force that strengthens me to be BRAVE for my students and show them it can be done! Thank you so much for this great interview Suzanne. I hope to meet you at TESOL in the future!